How do I Share My Website Content to Social Media? You can share content from your team's website to a social media site (e.g., Facebook, Twitter, LinkedIn, etc.) just like you would other web content like news articles from a news site, etc. Each event, game, post, etc. will have a set of social media buttons that allow you to share that content in one easy step. Click one of the icon buttons in the event or post. Note: If you do not see the social media you are looking for, click the + symbol to open the drop-down menu for more options. 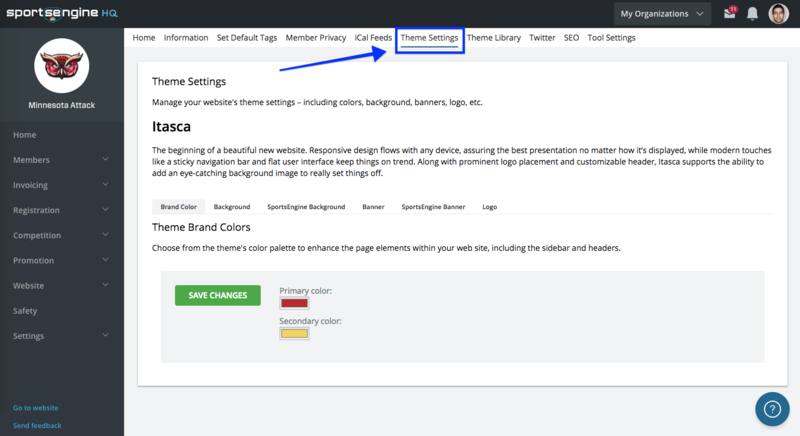 In the social media site's dialog box, you will see a preview of your site page that you want to share. 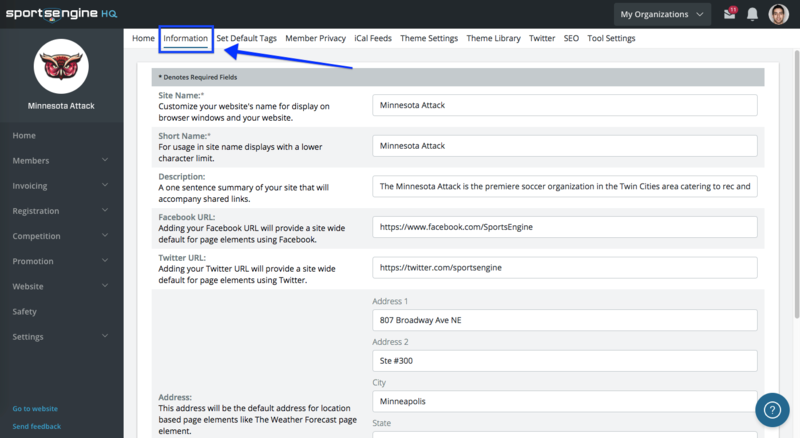 The content displayed includes your site description, which is located in the Website Settings - Information tab of SportsEngine HQ. The image that appears in the Facebook post is also taken from the image which is located in the Website Settings - Theme Settings tab of SportsEngine HQ. You can also share your site content in a social media post by copying the site URL and pasting it into the social media post. In the page that you want to share, copy the URL from your browser's address bar. Paste it into an empty post in your social media site (Facebook, Twitter, etc.). Note: In the Facebook post, you can delete the website address from the text area so you can add your own content. The link will remain intact.